We all need a spa day from time to time to shed tension and keep our spirits up and our lives feeling balanced. Whereas you may get a muscle relaxing massage, your fish may not benefit from this because touching him can disrupt his protective slime coat. It has been observed by fishy parents, though, that their little charges enjoy the feel of bubbles on their bodies! They seem to get a little bubbly message when they are cavorting through a free-flowing bubble stream in their aquarium. Set one up for them with a bubble stone and watch what fun they have with their very own bubble spa! The bubbles will be gentle and beautiful and fun for you and your fishies! Start out with just a slow moving bubble stream to let your fish get used to it gradually. He deserves it and we all need a little relaxation and something to delight the spirit and soothe the soul. For your own human version of a spa day, you may want to get a facial. The best “facial” for your fish is fresh, clean water with a great water conditioner changed consistently to keep his skin in tip top condition. 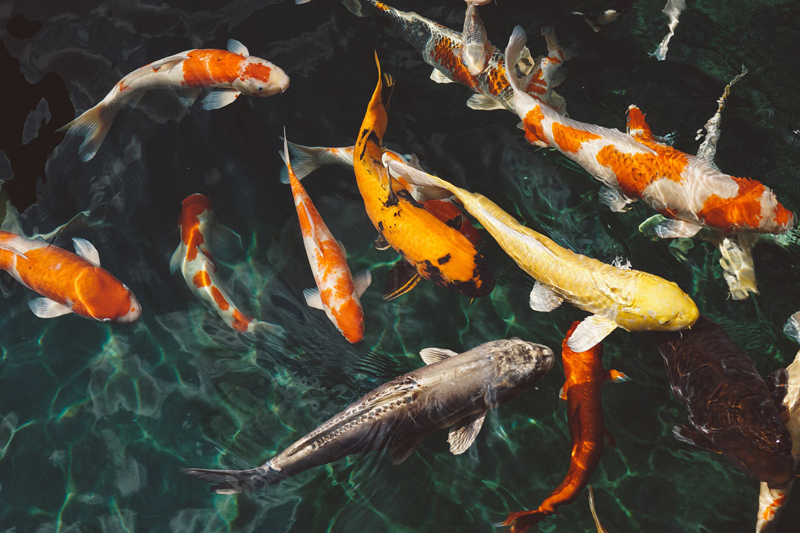 Treat your fishy to a perfectly conditioned and temperature-regulated aquarium that has water (try bottled spring water) and plenty of it - depending on the size and type of fish you have. Give him enough space to swim luxuriously or lazily or athletically - however he wants to swim and turn and cavort and zoom around or rest - whatever his little heart desires. Don’t limit him to a tank that is too small because this can cause stress. De-stressing and detoxing is what we need as well as our fish need. Feeling too cramped in a living space brings frustration and distress of the mind that sooner or later translates into physical illness. Give them water that is perfect according to directions for your own special specific species and age and size of fish. On our spa day, we might eat as healthily as we can - some fruit and vegetables, perhaps? For your fishy’s spa day - give him his favorite treat. Some fish can even eat certain fruits and vegetables as a little something special. (Still feed their usual food on their regular schedule for nutrition.) A molly, for example, will eat spinach, farowella eat vegetable tablets, pacu prefer fresh vegetables but will eat vegetable flakes and fruits, silver dollars also enjoy fresh vegetables, vegetable flakes and tablets, and tropheus likes algae, plants, spiralina, and vegetable flakes! At the same time, as your fishy is munching away, sit back, relax, and enjoy a delicious, refreshing bowl of fresh fruit of your favorite kind for your own mini-spa treat! Relax, unwind, let your brain go loose in your skull to allow inspiration, creativity and calm to enter your mind. Content copyright © 2018 by Mary Brennecke. All rights reserved. This content was written by Mary Brennecke. If you wish to use this content in any manner, you need written permission. Contact Mary Brennecke for details. Learn about all aspects of keeping fresh and saltwater fish. Beginners and advanced hobbyists alike are invited to share! Subscribe for free weekly updates from this Fish site.